Faced with two unknown identities (that of the sitter and that of the artist), Osmund Bullock opened the investigation by asking the usual questions: whether there was any information on the back and if a high-resolution image could be provided. The identity of the sitter, Allen W. Seaby (1867–1953), and that of the artist, Harold James Yates (1878–c.1963), was quickly uncovered with the help of the sitter's family and alma mater. Soon after the discussion was opened, Oliver Perry found photographs of Allen Seaby, a past Professor of Fine Art at Reading University, whose resemblance to the sitter in the portrait was striking. Then, Barbara Bryant, having gone to a Seaby exhibition at Reading University, provided the names of two authors of a book on Seaby's life. One of these men was Robert Gillmore, the grandson of Seaby and an artist himself. Malcolm Fowles, rather than contacting Robert Gillmore, contacted Emily Gillmore, Printmaker-in-Residence at Reading University, about the potential identity of the sitter. Luckily, Emily was able to identify the man in the portrait as her grant-grandfather! While also telling us about how Emily was able to identify the sitter, the University of Reading Art Collection also released some new information: that the painting dates from 1928 and was painted by Harold Yates. Later, Osmund Bullock was able to find conclusive proof of both the artist and the sitter; in a small column in a Cornish newspaper, it was written that 'Mr H. J. Yates has sent a portrait of Professor Allen W. Seaby'. 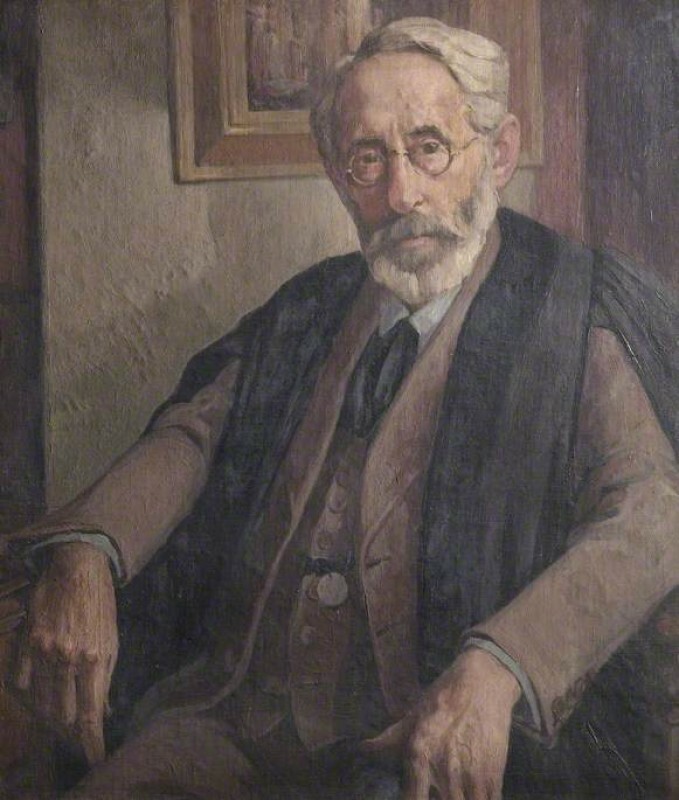 Do you recognise the sitter or artist of this portrait at the University of Reading?